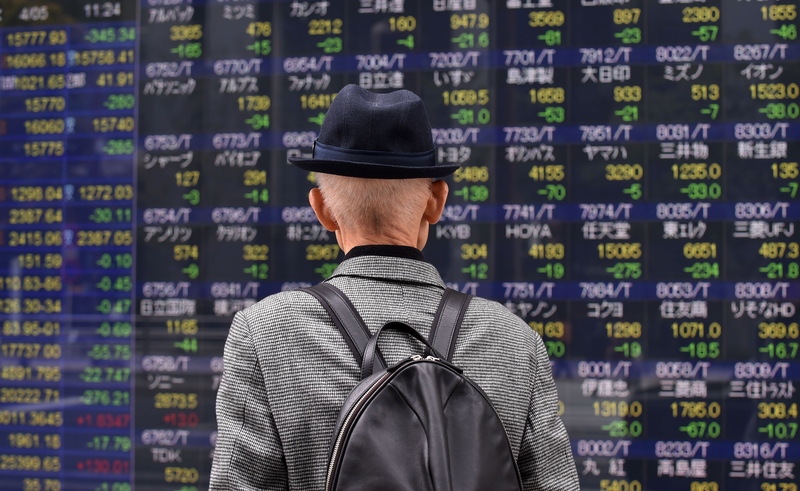 TOKYO - Global shares fell Tuesday as oil prices dropped further and the head of the International Monetary Fund sounded downbeat on the outlook for the world economy. France's CAC 40 fell 2.1 percent to 4,252.21, while Germany's DAX dropped 2.2 percent to 9,607.29. Britain's FTSE 100 fell 1.4 percent to 6,080.85. U.S. shares were set to drift lower with Dow futures down 0.6 percent and S&P 500 futures dropping 0.7 percent. Christine Lagarde, the head of the IMF, warned in a speech that "the recovery remains too slow, too fragile." She said the world economy isn't in a crisis but that slow growth risks becoming ingrained as a "new mediocre." She noted the outlook for the next six months has weakened, suggesting the IMF may be revising down its forecasts. The central bank of India cut its key rate by a quarter point to 6.5 percent to help economic growth and nudge up inflation. The rate is now at its lowest in five years, and the central bank's governor hinted it could be cut further. The action indicates there is continued concern among developing economies about their outlook amid a global downturn. Earlier, Japan's benchmark Nikkei 225 index lost 2.4 percent to finish at 15,732.82, hit hard by a rise in the yen. South Korea's Kospi fell 0.8 percent to 1,962.74. Hong Kong's Hang Seng sank 1.6 percent to 20,177.00, while the Shanghai Composite index rose 1.5 percent to 3,053.07. Other regional markets were mostly lower, dipping in Singapore, Thailand and the Philippines. Market sentiment has also been hurt by a recent drop in oil prices. Benchmark U.S. crude fell 7 cents to $35.63 a barrel on the New York Mercantile Exchange. Brent crude, used to price international oils, lost 13 cents to $37.56 a barrel in London. The euro inched down to $1.1363 from $1.1397, while the dollar fell to 110.30 yen from 111.495 yen.